"Cultivating Community…one stem at a time." To take gardening, designing, and artistry and cultivate it into the community I love, creates an art form within itself. I offer a handful of workshops a year, connecting with individuals from near and far, teaching them about the art and relaxation behind floral design. It is always a privilege and is rooted in the heart of what I believe and create. Watching others walk away with something beautiful they created with their own hands and the satisfaction it brings, makes my purpose even more enduring. We also have several “pop up flower bars” at various times during the spring, summer, & fall seasons, venturing to locations and shops around the community we love and admire. Come by for organic, locally grown flowers that are unique, wrapped with our signature style, and fabulous. Support Local! 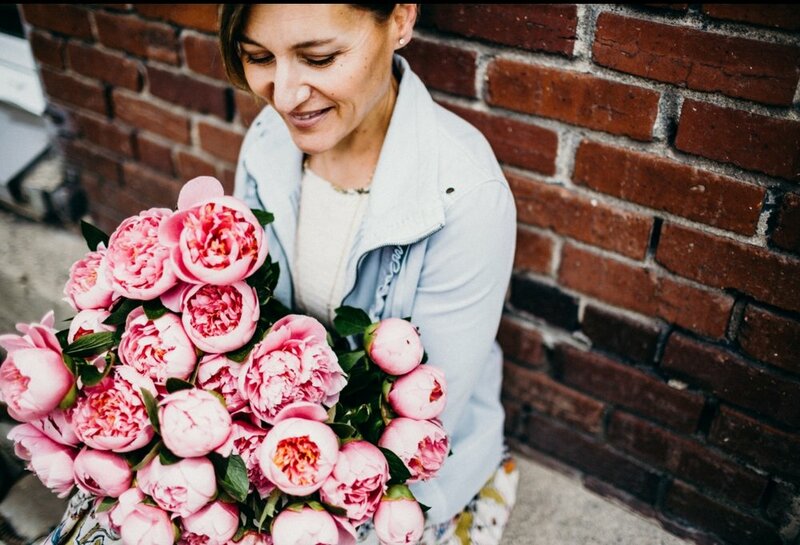 I’m joining creative forces with Bespoke in the heart of downtown Truckee to bring joy and spread love to all the mothers (and ALL the other fabulous women) out there by offering a POP UP Flower Bar! From 11-4pm on mama’s day, I’ll be wrapping customized bouquets of the most unique, colorful, organic, farm-fresh blooms around while you shop for a one-of-a-kind gift and card at the best shop in town. Join me and other aspiring floral artists, and ring in the Christmas season with a floral workshop, learning the basics of creating a holiday centerpiece, using hand-picked, farm-fresh flowers and holiday foliage. Take some time from the hustle and bustle of the season and invest in yourself. Walk away with a gorgeous arrangement to adorn your holiday table or party! Bring a loved one or your bestie and make a day out of it with local shopping & dining. Register at the ever-so-fabulous and beautiful studio space Atelier in the heart of beautiful downtown Truckee. The holidays are on the horizon! As the air turns crisp, the evenings get colder, and the crackling fires ignite, the garden is still alive and stunning! Flowers abound for our Thanksgiving tables, with textures and hues that add warmth and that perfect finishing touch to celebrate with our dearest family and friends. Join me on Wednesday afternoon to learn the basics of table centerpiece design, tap into your inner artist, and walk away with a stunning arrangement that you can take all the fabulous credit for (along with the golden-brown turkey and all the fixins)! Flowers are a pure force of nature. They remind us to look around, appreciate color, and the goodness behind living in the moment and with intention. They gently demand from us a sense of curiosity, wonder, and a slower pace of life. Learn the nourishing art of all things floral, beginning with a brief history of the world of flowers. Experience the sense of relaxation that comes with the process of designing a floral arrangement. This workshop provides instruction into the art of floral design, introducing various techniques - exploring style, complimentary color palettes, and how to choose various blooms based on size and texture. You’ll learn floral names, varieties, availability, and accessibility. Come explore the art of flowers using the freshest, organically grown blooms. All supplies are included.